Thank you so much Cindy Galbraith for your inspiration (and enablement) of this mailbox. I had so much fun making it this evening. Hmmmm, this was so much fun and I was able to buy just a few extra mailboxes tonight from the local big box store that we "might" just do this as one of our class projects on the 9th. Of course, if we do we would need to use some of the awesome new papers that will be in the Occasions Mini Catalog or the Sale-A-Bration mini. 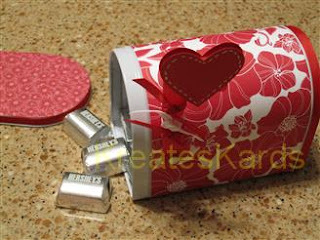 I filled this with Hershey Nuggets (they are Hal's favorite), but it could easily be filled with small gifts, Valentines, or whatever you would like. I promise more photos and a link to a tutorial on line tomorrow. Stampin' Up! is working fast and furious to get the catalogs out to our customers and your patience and understanding is greatly appreciated. There has been a delay mailing out the Sale-A-Bration brochures and Occasions Mini Catalogs through the mailing selector. We will replace Sale-A-Bration brochures beginning January 8, and Occasions Mini Catalogs beginning January 15. We apologize for any inconvenience. This was posted this evening on the Stampin' Up! Demonstrator website. My customers will still get their catalogs, but there will be a delay. The catalogs are soooo worth the wait. I know everyone is disappointed, but they will be in your mail box soon. Wait till you see the great new products Stampin' Up! is offering. I received my pre-0rder tonight AND have the next 5 days off from work. My plan is to post as much as possible of the great new products for you all to see. 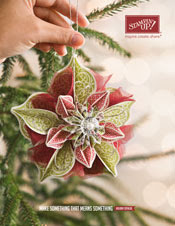 Also as of the 5th we will have links to pdf files for the catalogs that you can view on-line. Sale-A-Bration catalog is valid 1/5/10 thru 3/31/10. Occasions Mini catalog is valide 1/5/10 thru 4/30/10. Thank you for your patience and understanding of this delay. If you have any questions, please contact me. I check e-mails daily even on the days that I work and promise a quick reply. I want to thank all of my blog followers and my customers for understanding all the posts using My Digital Studio this month while I was working very LONG hours (retail store). It allowed me to keep my blog active, while giving everyone inspiration for card designs. By next weekend, I should be able to get my blog back to normal with tutorials, product reviews etc. I will still be working, but not the long hours like we had in December. 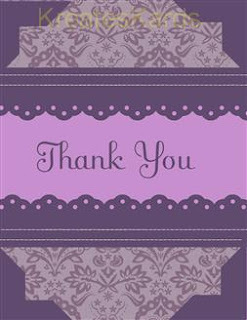 This Thank You card was designed using My Digital Studio by Stampin' Up!. I've really enjoyed using the program this month. It is easy to use and there are so many designs in it to choose from. Hope you all had a great Christmas. We spent Christmas with our dear friends (Danny, Lisa, and Kassidy). It made the day very special and fun. How did it get to be the 21st already !!!! The days are flying by and Christmas is just 4 days away. I hope your Christmas is wonderful and that you will be surrounded by family and friends. This is such a special time of the year. 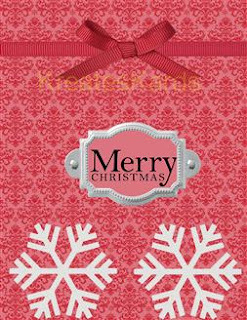 The card above was made using MDS (My Digital Studio by Stampin' Up!). I love the ornaments. They look so elegant with all of their detail. The days are fleeting by and Christmas will be here before we know it. There's excitement about Santa coming, gathering with friends and family, and the wonderful food plus good times we all will share. Even with all the excitement of the season, please remember to take time to count your blessings. Even in these hard economic times, we all have much to be grateful for. My wish for all of you is that you have a wonderful holiday, spent with family and friends. May your new year be filled with many blessings and be prosperous for you too. 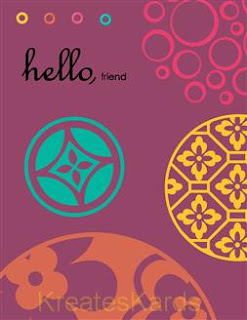 Hope you are all enjoying the cards this month made with My Digital Studio by Stampin' Up!. It has really helped me to keep my blog current while I am working many long hours. It is a great design tool and the cards you are seeing should help with inspiration for cards you may want to make too using card stock and embellishments. Santa is giving me an IOU this year so that I will have the ability to buy new things from our Mini Occasions Catalog in January. Oh my gosh, I just can't wait. Then the added bonus is that for every $50 I spend from the mini or the regular catalog, I will receive a FREE item from the Sale-A-Bration catalog. Truly a win/win present from Santa, don't you agree !!!! It just means I have to wait a bit to order. Santa always seems to know exactly what I want, and Stampin' Up! products are always the perfect gift. Catalogs are valid as of January 5th. 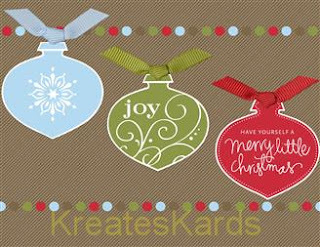 My customers will be receiving them soon as they will be mailed directly to you from me thru Stampin' Up! mail system. Stampin' Up! gave demonstrators a great gift on Monday. We got our choice of four MDS (My Digital Studio) downloads. 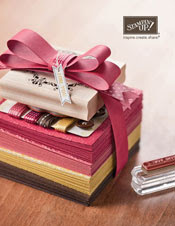 Thank you Stampin' Up!, you really are a great company to work for. 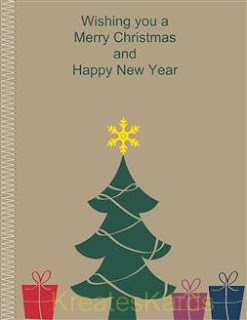 I choose the one for calendar creations and look at this cute Christmas card that I just created in a matter of minutes. The stitch border is one of the designs that comes with MDS. My Digital Studio is so much fun to use and very easy to learn also. Oh my gosh, the new unmounted stamps are fantastic !!!!! They are going to save LOTS of storage space too as they are in CD style cases for easy and compact storage. They will not be available for purchase from Stampin' Up! until January 2010 (just a few weeks away), but they are soooo worth the wait. Dawn just posted a fantastic video on her blog showing how to set the stamp sets up and use them. Also she has used a DVD storage rack to store her stamp sets. Stop by her blog to see her video. Please note: She is not adhering the labels the same way that Stampin' Up! has in their instructions that come with the unmounted stamps sets. Either way will work, you just will need to decide which way works best for you. 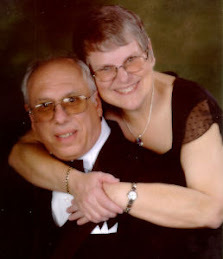 Here's the link to her blog and the video ... just click HERE to view. I promise more step by step tutorials after the holidays here on my blog. The next two weeks I am working 110 hours, so haven't had a lot of extra time to show the sneak peaks of our new products as I had hoped to do. I have ordered the new Mini Occasions Catalog and Sale-A-Bration catalog for all of my customers. It will be mailed to you directly from Stampin' Up!. You should received it before the end of the month. If you don't have a demonstrator and would like a copy of these new mini catalogs, please send me an e-mail (link on top of my blog) and I will be sure you get them. While waiting for a phone call, I decided to see what I could do with MDS (My Digital Studio). I took circle punch shapes and made a snowman who was accented with the arrow punch for arms and brads for his eyes and nose. Then took a stamp design for the snowflakes and Merry Christmas. 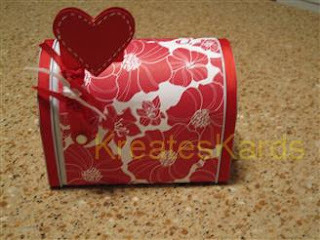 Accented the card with designer series paper, ribbon, and a bow. Maybe not the best card in the world, but I did have fun making it. If you would like to order My Digital Studio, it is item #118108. It is exclusive to Stampin' Up! and as a demonstrator, I can offer it to you thru my Stampin' Up! website or by contacting me directly to place the order for you. It comes on 2 CD disks and runs both on the PC and on the MAC. You are allowed to install it on 2 computers in your household. For 12 days only, you can get discounts on select Big Shot dies and materials. See below for complete offering. All items on sale will be posted on the first day of the promotion and can be purchased for all 12 days. 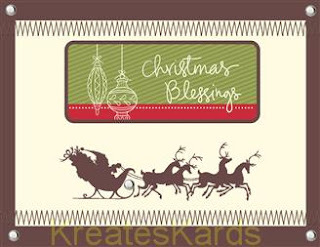 Having fun creating a special Christmas card using My Digital Studio by Stampin' Up!. It is amazing all the elements you have at your disposal with MDS. 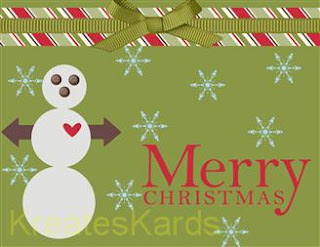 I used ribbon, bows, hodgepodge hardware, brads, paper punch, and even designer paper to make this card digitally. It just took me a couple of minutes to create, then upload to my blog to share with all of you. I have my pre-order things here for January, just haven't had a chance to play with them yet. I'm working "retail" for the holiday season, so it means many long hours at work. It is a true blessing to have the job, but I must admit I do miss creating cards on a daily basis to share with all of you. In Janaury I will be working 3 days a week and more regular hours so will have lots more time to spend crafting. Hope everyone is having a fabulous December. 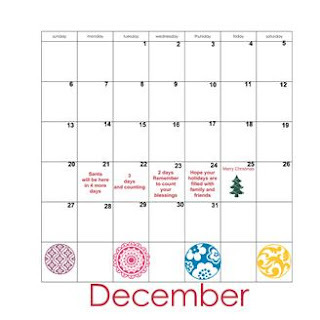 Holidays and Giving Go Hand in Hand with Stampin' Up! Hope you are all enjoying the cards this month. I'm working long hours (retail) so don't have the time I had before to create and do the step-by-step tutorials. I promise tho that once we are thru the holidays, I will be back with the tutorials, regular cards, gift ideas, and of course My Digital Studio too. Thank you all so much for understanding. One of my favorite stamp sets is Circle Circus, item #115778. I used the digital version of it in my card above along with our IN COLORS. The accent in the upper left corner are eyelets. I just wanted to drop you a quick note to fill you in on some exciting news that is happening in just a few weeks with Stampin' Up!. New Products: UNMOUNTED STAMPS ... you asked, Stampin' Up! listened. I'm so excited to let you know that we are still going to offer our wood mounted stamps HOWEVER you will also have the option of ordering unmounted stamps that are used on acrylic blocks!!!! The unmounted stamp sets will cost a bit less too than the wood mounted ones ... either way you will be getting the GREAT quality you depend on with Stampin' Up! We are also changing the look of our paper punches to make them smaller and lockable for easier storage. We are introducing two sets that will work together forming a continuous border (yes, a border and a corner punch that work hand in hand). The current paper punch designs will stay in the same style, only the new ones will change. I placed a small pre-order that will be here very soon. I will post photos as soon as I can. 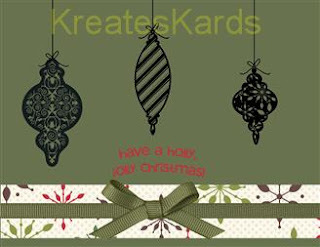 Here's another card I created using My Digital Studio by Stampin' Up!. The designs are really coming out nice, and I love the fact that I can use this as a design tool then convert to regular Stampin' Up! products to make it. So much to do before the holidays. I have my cards done, but not addressed. That will be my evening project for the next few nights. As promised, many of the stamp sets currently on our dormant list have been available for a year and now it is time to say goodbye. The following stamp sets will be discontinued on January 4, 2010. If any of these stamp sets are on your wish list, make sure to purchase them before they are gone for good! To order, contact me directly OR you may order thru my Stampin' Up! Website.